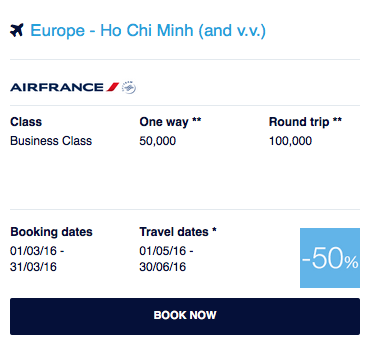 The newest set of Air France KLM’s Promo Awards have been released. And now AF KLM are offering up to 50% Bonus Miles when you buy Flying Blue Miles which can make some of those 50% offers very attractive! Find out more here.